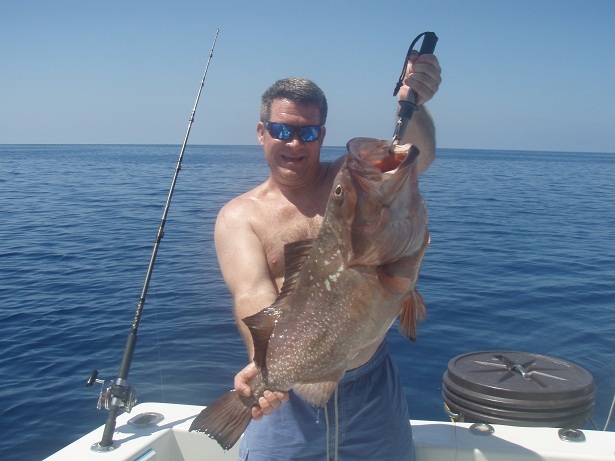 Reserve your fishing trip today with Captain Bill Curtis in South West Florida and you too could have the opportunity to catch the fish of a lifetime, along with the guarantee of a great day on the water! 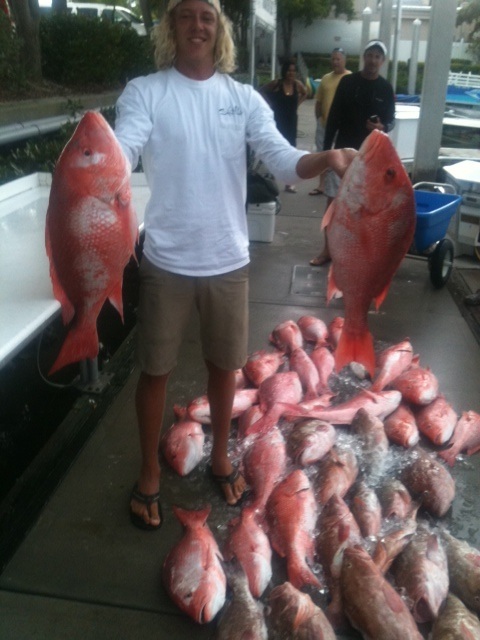 Quite often I'm on the water and not available when you are looking for a charter. You can always try me by phone at (239) 229-6904. If you can't reach me please share some information below and I'll be sure to contact you as soon as possible. Thanks! How many people, up to 6? 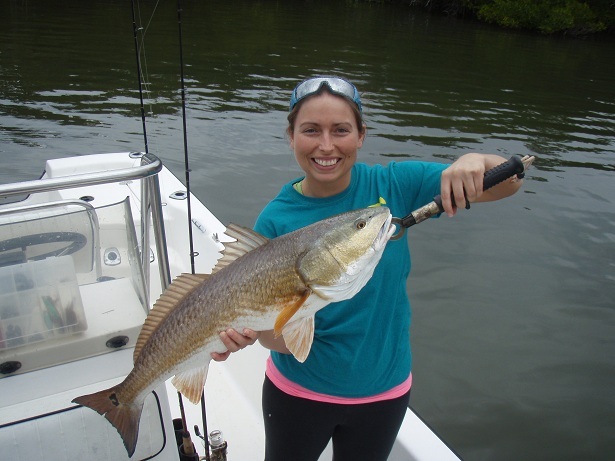 Click here for recent fishing reports to see what's biting now! 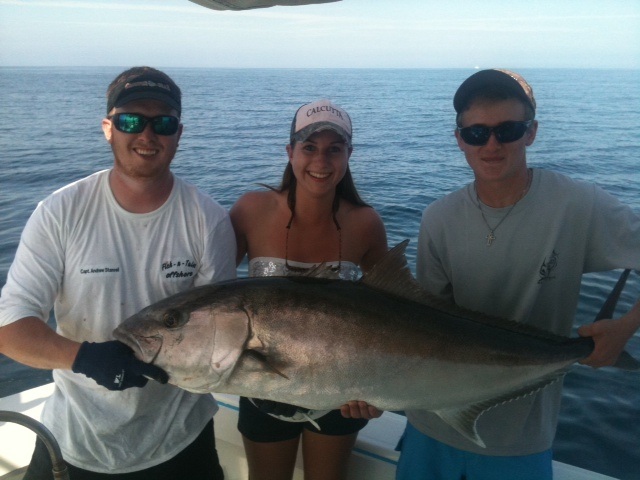 Left click on the pictures below for a larger picture of happy anglers fishing with charter fishing guide Captain Bill Curtis. 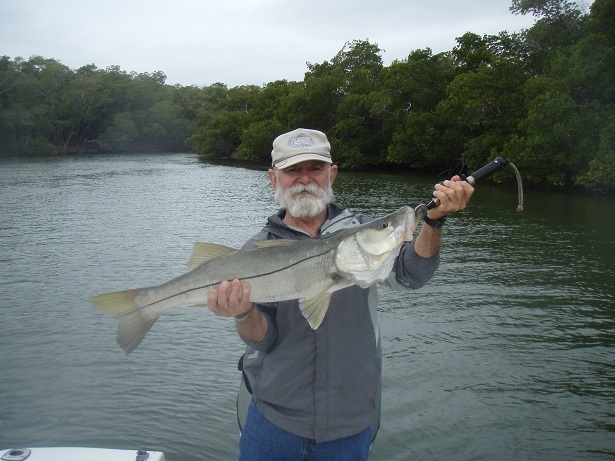 Welcome to my website in your search for a fishing guide in Fort Myers, Florida. 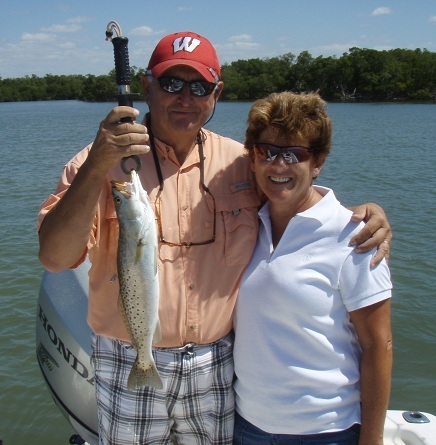 I offer private inshore guided charter fishing and sightseeing trips in South West Florida out of the Fish Tale Marina Pro Staff boat with a bathroom and the ability to take up to 6 passengers. As well as offshore fishing trips, for up to 6 people, predominantly for grouper and snapper out of an enclosed cabin 38' Sea Hawk. There is nothing like enjoying an offshore trip on this incredibly comfortable fish catching boat. 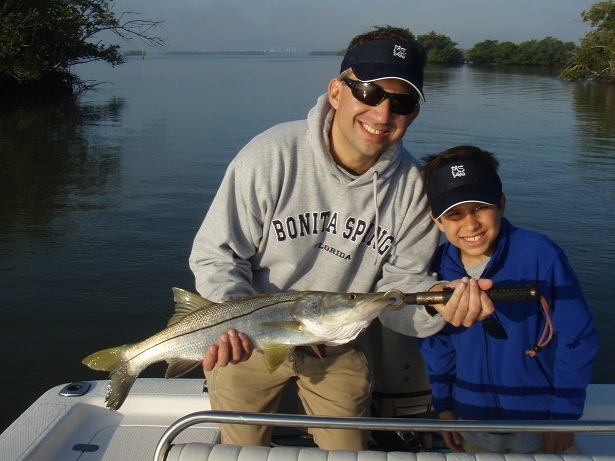 I have been fishing in the Fort Myers area for over 25 years now and look forward to guiding you to an awesome day on the water, along with a chance for the fish of a lifetime. 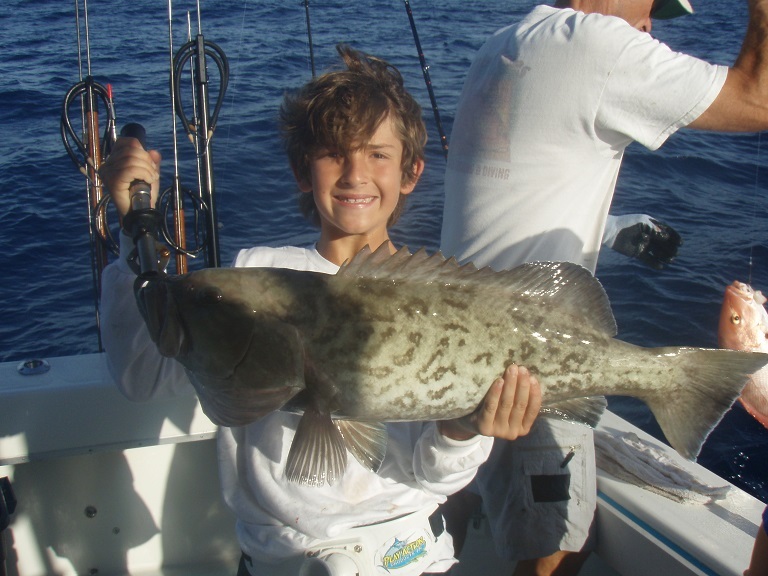 There are plenty of sights to see on your trip to go along with the great fishing along the coast and inshore waters of Fort Myers and all of southwest Florida. It is common to see a huge variety of birds including Ospreys, Bald Eagles, and Roseate Spoonbills. We also have large and thriving populations of Manatees and Dolphins that we see regularly. It is actually a common occurrence to have a frisky group of dolphins play in the wake of the boat almost within arms reach. 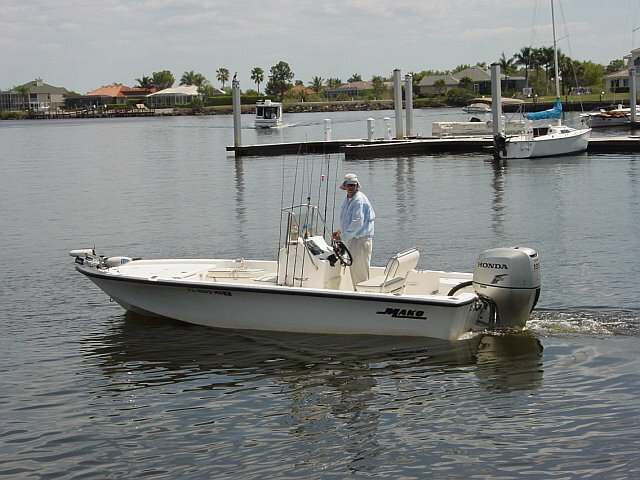 Guided fishing trips will depart from the Fish Tale Marina on the south end of Ft. Myers Beach. I can accommodate from 1-6 people with rates starting at $500. See my personal blog with fishing reports and pictures to see what's biting now. View my Facebook Page to see what recent customers have to say about their charter. See the great video below of an awesome and fairly common dolphin experience! 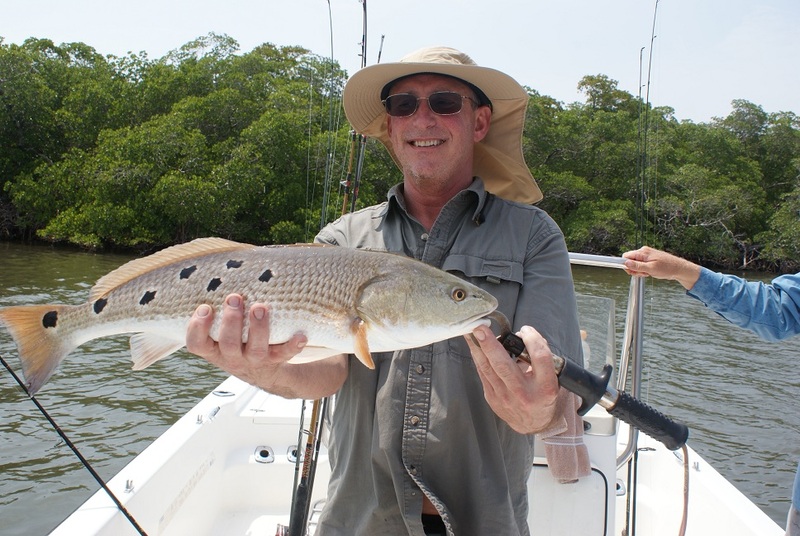 Call Captain Bill Curtis at (239) 229-6904, with any questions and or to make a reservation. I accept cash, or the following credit cards.